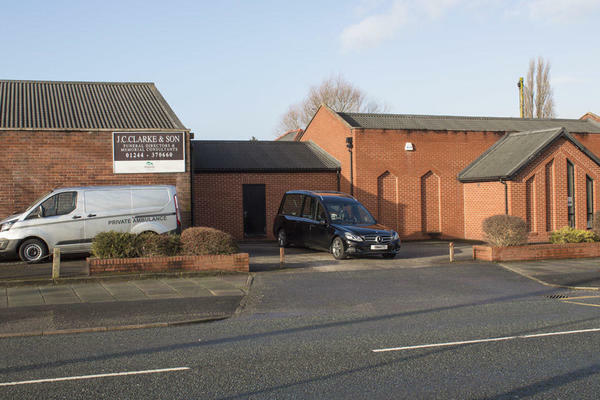 We are J C Clarke & Son Funeral Directors in Blacon, Chester, and we are here to give you our uncompromising compassion to help make a difficult time a little easier. Every detail that matters to you, matters to us. We believe a funeral is a deeply personal event that should be a reflection and celebration of your loved one’s life, so we will tailor the funeral service to be exactly as you wish. We are a Dignity funeral directors, so you can expect nothing but the highest quality of funeral care and facilities from the moment you get in touch with us. We are always here for you during your time of need, so please give us a call at any time. Call us today on 01244 370660 to talk through your personal requirements. You can find us on the corner of Western Avenue and Highfield Road. Our staff are available 24 hours a day on 01244 370660 if you require our services outside of these hours.